Jesse Tree Sticker Set & Fishing for Bible Characters are Here! We want everyone to share the joy of the saints this Christmas season so we’re doing a crazy sale on My Catholic Magnets! These deals give you well over 50% off. 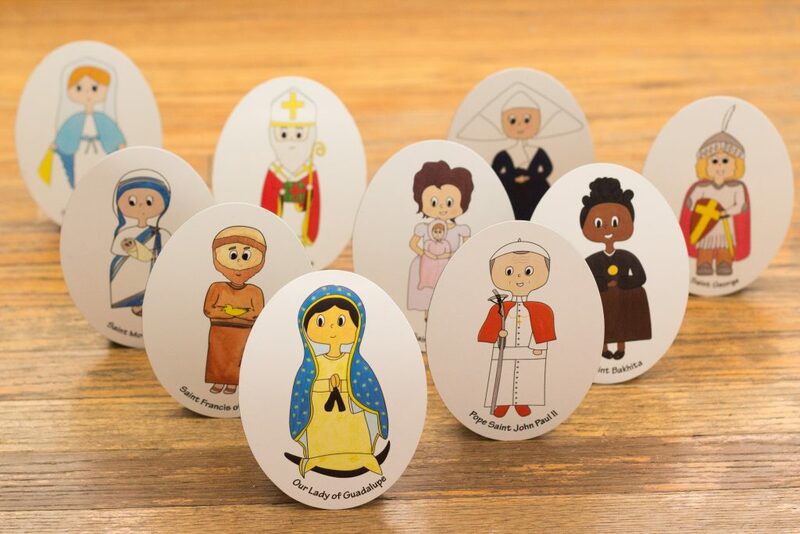 If you haven’t checked them out yet, My Catholic Magnets are 3”x4” magnets for kids that each feature a different hand drawn saint or Catholic figure. They also include a holy card with the saints story that is specially written for children to understand. Order the 12 month saint subscription for $60 where you receive a newly released saint magnet each month for an entire year! (January – December 2017) and you’ll receive 13 saint magnets free as an immediate bonus!! A $125 value for only$60!! These deals will only be live Black Friday – Cyber Monday 11/25-11/28! Don’t miss out! We are already getting ready to ship out over 1,000 magnets of the saints to children around the country! Are yours on the way?? Get free Jesse tree printables and ebook when you subscribe to our free My Catholic Kids newsletter. Get Your Free Jesse Tree Kit! 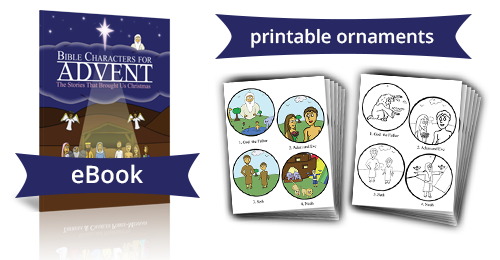 Subscribe to our free My Catholic Kids newsletter to get the ebook version of Bible Characters for Advent and our Jesse Tree printable ornaments.